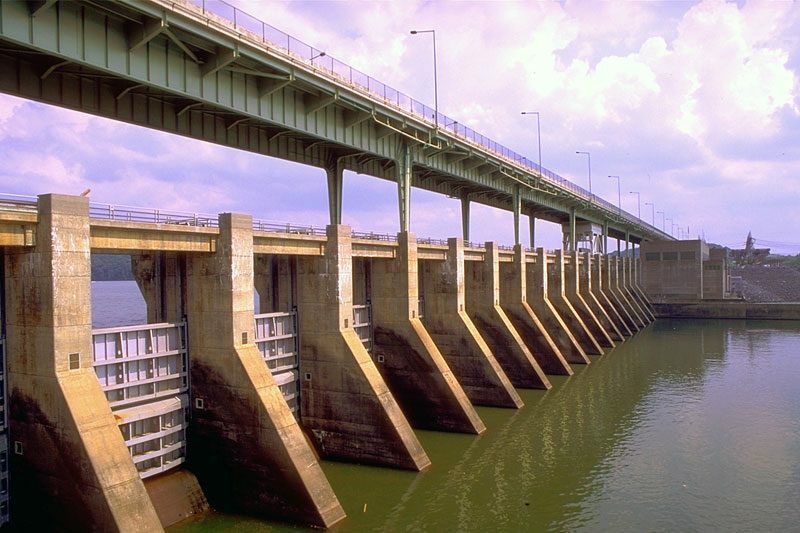 Chickamauga Dam is a hydroelectric dam on the Tennessee River in Chattanooga. (Photo: Tennessee Valley Authority). WASHINGTON, May 22 – U.S. Senator Lamar Alexander (R-Tenn.) today announced that Congress had approved final passage of legislation that would authorize more funding for the nation’s inland waterways, and could lead to replacement of Chickamauga Lock by as much as six years earlier than the previously projected completion of 2026. The Senate passed the legislation today as part of the Water Resources Development Act by a vote of 91 to 7. The U.S. House of Representatives passed the Water Resources Development Act by a vote of 412 to 4 on Tuesday, and the legislation now heads to the president’s desk for signature. First, it would decrease the amount of money the Inland Waterways Trust Fund pays each year to construct Olmsted Lock, an Ohio River project that Alexander said has “soaked up almost all of the available money for lock replacement anywhere in the country.” Olmsted Lock would go from receiving half of its funding from the Inland Waterways Trust Fund to receiving 15 percent of its funding from the Inland Waterways Trust Fund. This change makes more money available to fund inland navigation projects like Chickamauga Lock. Second, it would restate the capital development plan that prioritizes construction projects, ensuring that Chickamauga Lock will be No. 4 on the priority list as funding becomes available for projects. These two provisions mean work on Chickamauga Lock could begin sooner than otherwise possible, leading to an earlier completion by as much as six years. Based on the current backlog, Chickamauga Lock is not scheduled for completion until 2026. Currently, Chickamauga Lock is composed of aging and severely deteriorating concrete. Infrastructure projects like rebuilding Chickamauga Lock are funded by the Inland Waterways Trust Fund, which draws on fees that commercial users report and pay themselves. In addition to the two provisions contained in the Water Resources Development Act, Alexander said the $600 million project to replace the lock over five years would still require a fee increase that commercial users already support. Alexander previously called for all three changes – the removal of Olmsted Lock from the Inland Waterways Trust Fund, the restatement of the capital plan, and the user-supported fee increase – as part of the American Waterworks Act. He announced May 1 that portions of that legislation would advance as part of the Water Resources Development Act.